Psst! Wanna hear something funny? I put on twelve pounds in New York. TWELVE. In eight days. Hahaha. After the initial 'ohmygodIwanttodiebutonlyaftereatingatuboficecreamtonumbthepain' horror, I actually laughed. At myself and my stupid body's ability to put on huge amounts of weight in short spaces of time. 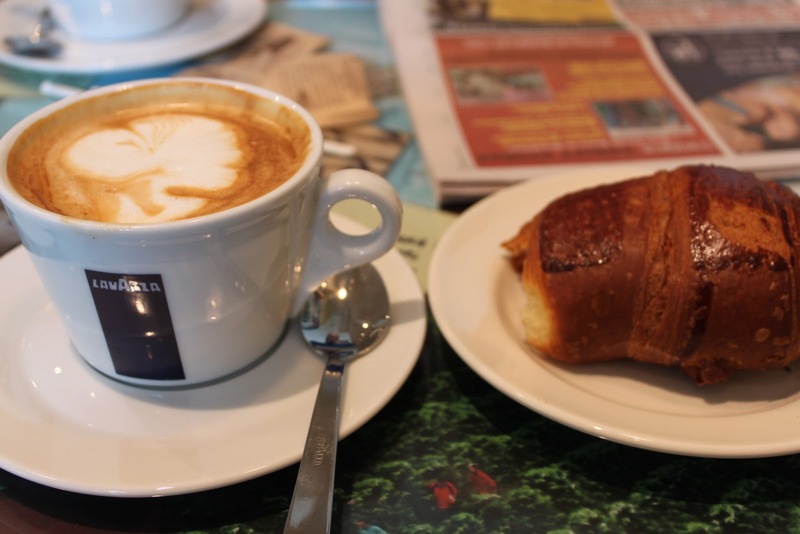 Eight pounds in five days in Barcelona, anyone? Nine pounds in six days at Glastonbury? See, my body wants to be fat! I'm happy to report that I have now lost all bar two of those pesky pounds. But let's have a little look at why I put on ALMOST A STONE in a week, shall we? That plane food up there was just the beginning. 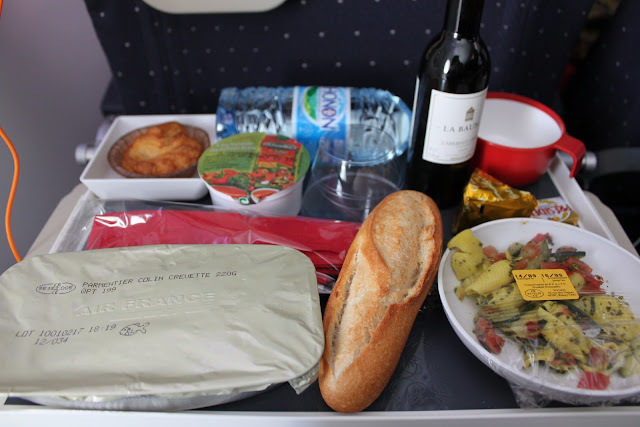 Let me just say this, Air France's plane food is monstrously good. That crusty baguette topped with a wedge of camembert set the tone for the whole holiday. Plus, you get champagne. Nuff said. Then there was Shake Shack. Double cheeseburger with cheese fries. Our first meal in New York and our last. With a couple thrown in for good measure inbetween. 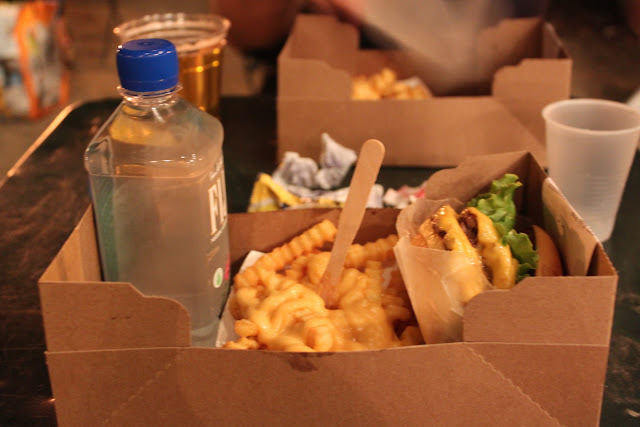 Yes, that's right, we went to Shake Shack four times. And I am PROUD of that. Then french toast with syrup, sugar and strawberries. And, ahem, sour cherry pie with cream at Bubby's in DUMBO. Can you see those pounds racking up? Yum. Now, the next one is pretty special... PRETZEL FLIPZ! OMG! White fudge covered pretzels, come to mama! These came to England for about a minute years and years ago but clearly the British public have no taste and they disappeared from view. 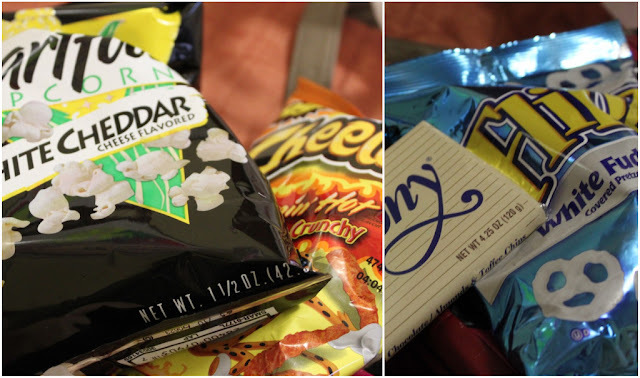 Also, white cheddar popcorn and Cheetos? Yum. And that chocolate bar poking in the side? Hershey's Symphony. All I need in life. 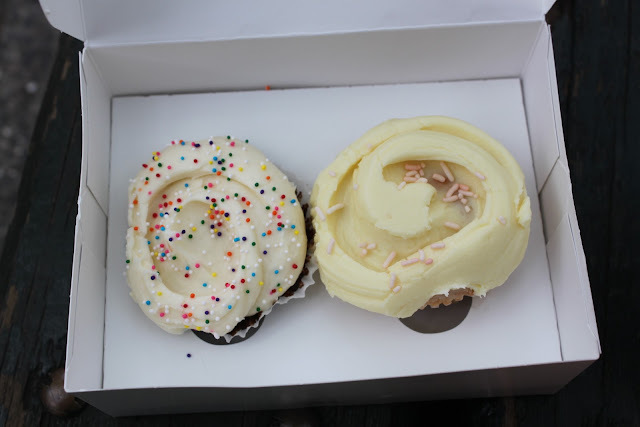 What trip to New York would be completed without a few cupcakes? The top ones are from Magnolia Bakery and the bottom ones are from Crumbs. Verdict? Crumbs every single time. Sorry Mag, your sponge is just too dry. 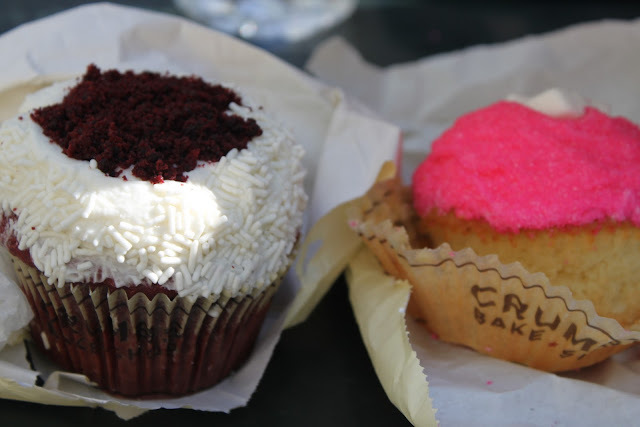 Plus the ones from Crumbs are humungous. Size = everything. Snigger. 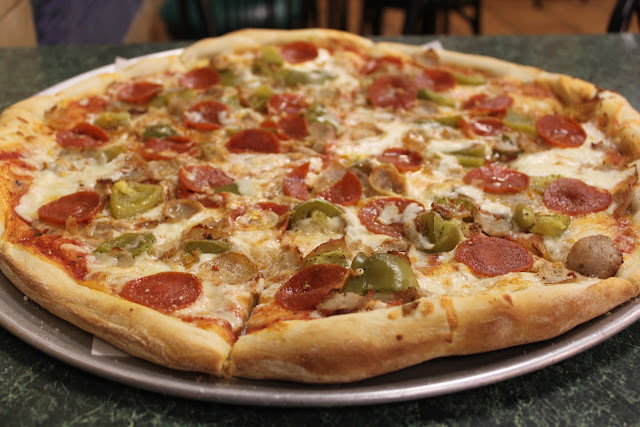 Now, let's talk pizza. The top one is from Ray's and the bottom is from the legendary Grimaldi's. Verdict? 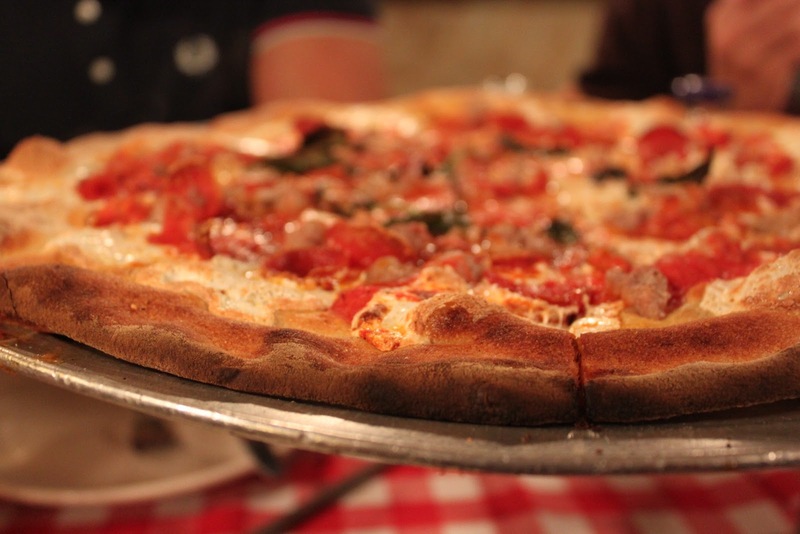 Grimaldi's, of course! Ray's was the perfect grease before a Saturday night on the town but Grimaldi's was just wonderful. Our last dinner in New York and it was perfect. 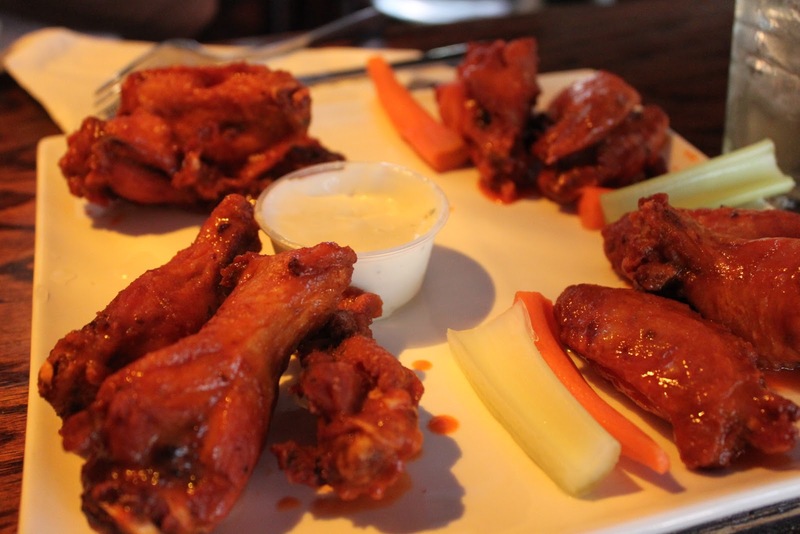 It seems fitting that the last picture from my food odyssey through New York is of my all time favourite meal... buffalo wings! Messy, spicy and perfect in every single way. These were from the Manchester Pub and they were utterly glorious. I once spent four days in Washington DC with my parents and I ate buffalo wings for 90% of my meals. Pretty proud of that to be honest. So, there you go. 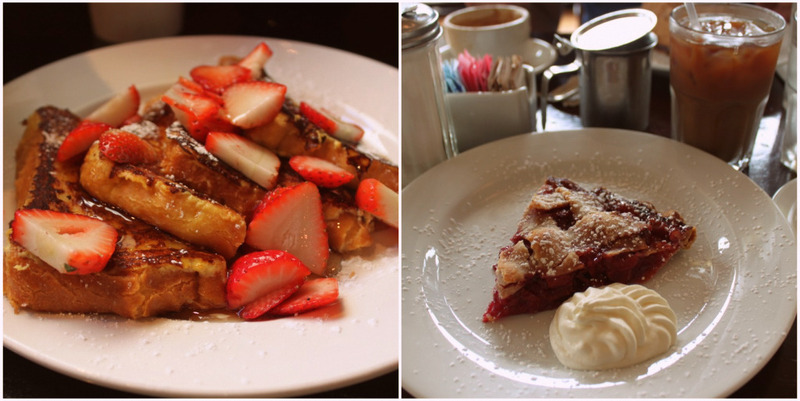 Food, NYC style. Not pictured: the other three Shake Shack meals, the burger and brownie from the Burger Joint at Le Parker Meridien Hotel, fillet steak with onion rings and duck fat potatoes followed by dobosch layer cake and raspberry beignets at Butter, chicken enchiladas and frozen pomegranate margaritas at Rocking Horse Cafe and numerous other culinary delights. In fact, this post reads like a giant edition of This Is Why You're Fat. Twelve pounds. It was bloody well worth it.